By any standards, Keiandra has had quite a year. 2016 has seen the Newcastle-based dream pop artist release her first EP, Empty Palaces, and go on to support up-and-coming UK acts like Bryde and Let’s Eat Grandma. 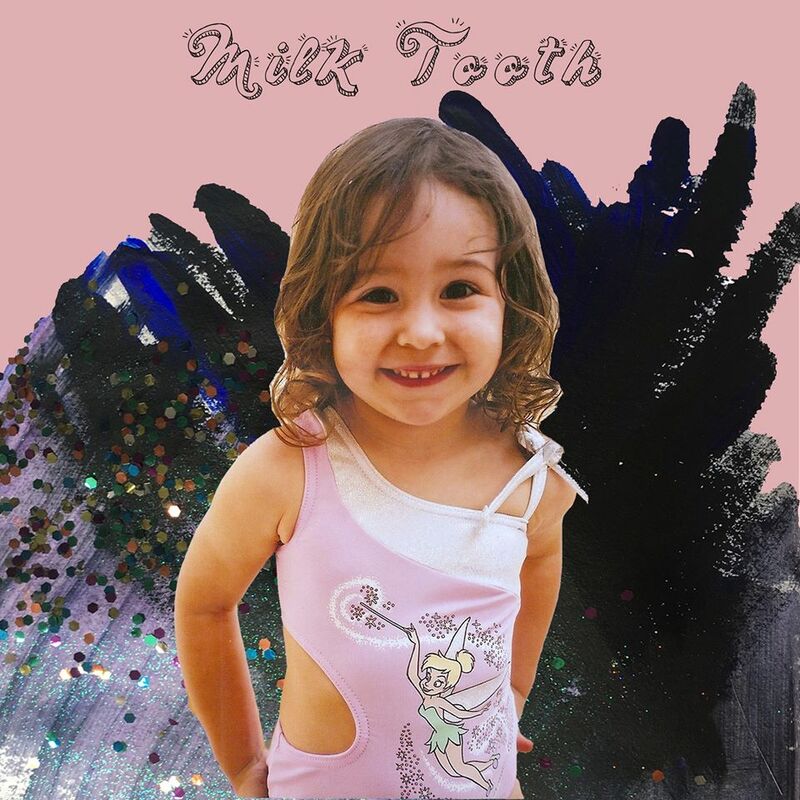 If that’s not enough, her latest single, “Milk Tooth” (independently released November 2016) finds her exploring sound in her own signature dreamy blend of pop and rock. And yet, like so much of Keiandra’s music, “Milk Tooth” seems to straddle genre and find its home in the grey area in between dream pop, soft rock, and what lies beyond. Going from under a thousand listens to over 40,000 in under a year is no simple feat. And yet, Keiandra’s growing popularity seems as if it’s the most natural progression in the world. Especially in “Milk Tooth,” Keiandra sounds as if she’s exactly where she always wanted to be — something some artists don’t even achieve in a long career. 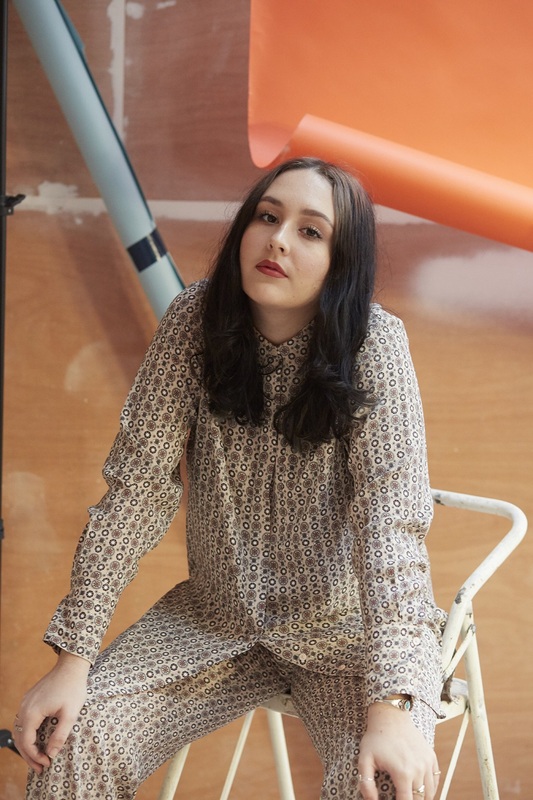 Atwood Magazine recently got the chance to catch up with Keiandra to discuss “Milk Tooth,” songwriting, touring, and what’s next for the nineteen-year-old now that’s she’s landed firmly on both feet. Atwood Magazine: First of all, I love the “Milk Tooth” single cover. Can you tell us a little bit more about it? Keiandra: I sure can. I have this sketchbook that I put all my ideas down in, and one night [I] just sat with loads of paint and came up with what’s [in] the background for “Milk Tooth” and then [I] just stuck a picture of me as a kid on the front and that was that! “Milk Tooth” shows more of a different side to your style than we’ve seen in some of your other songs like “Wanted,” with its heavier percussion and faster beat. Can you talk us a bit through how you came to write and arrange “Milk Tooth”? 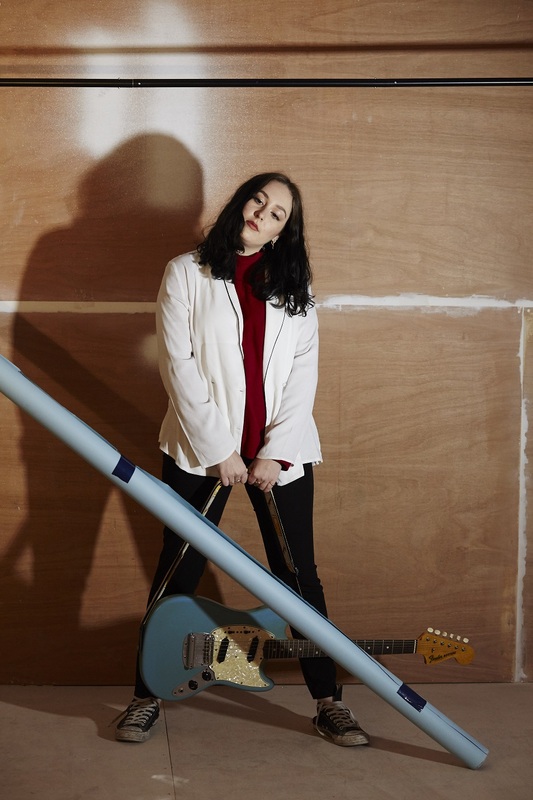 Keiandra: I’d wanted to take my music more down the route of my last single “Icing Sugar” because I thought I could have a bit more fun with it. Up until the summer ‘Milk Tooth’ was like how all my song start, just me and my guitar. I wanted to, like you said, show a different side. Luckily [producer] James Hall and I were on the same wavelength in terms of how we both could hear where it was going to go, which made the whole recording process so much more exciting. Some people might label “Milk Tooth” as more dream pop-oriented than your other music, but it seems to be such a natural progression--at least to me. Do genre labels like that matter very much to you, or do you see your music as occupying the spaces between genre? Keiandra: I think people labeling me as dream-pop is okay because I think that’s the most logical genre to put me in…[But] I’d really like to think that my music occupies the space between genres, thats a nice thought to have. “Milk Tooth” was recently named a DIY Neu Pick, and “Wanted” was featured on The Line of Best Fit as well. This year, you also released an EP, Empty Palaces, and have supported acts like Bryde and Let’s Eat Grandma. What’s it like to watch your music pick up speed? Keiandra: [It’s] just really exciting. I never really thought of people receiving my music so well. I go on Spotify and I see 32,000 plays next to “Milk Tooth” and I just get a bit nostalgic because a year ago I was over the moon for having like 9,000 plays on “Wanted.” [It’s] a crazy thought for me. It’s been such a good year and I’m just really excited for next year. Can you tell I’m really excited, because I’m really excited. I’d really like to think that my music occupies the space between genres. “Empty Palaces,” both the song and the EP, are just so aptly-titled. With each song there, there's such a striking mental picture that accompanies it so well - especially for a song titled “Icing Sugar,” and even with “Milk Tooth.” Can you tell us a bit more about your songwriting process as a whole, and how Empty Palaces came together? Keiandra: Wow, thank you! I always find telling people about how I write difficult because it just sort of happens. [It’s] almost like they write themselves, they definitely title themselves, that’s for sure. I seem to always write better in the winter, I’m not really sure why but I feel closer to myself when it starts getting cold and gloomy. Most of the time I sit with my guitar and play and play until some words come out, I just brain spill and before I know it I’m 4 verses and a chorus in and I’m like “how’d that happen[? ]” When I was going [through] all the songs I had, those were the ones that stood out the most. I felt like each one of them was different from the other. It’s quite funny actually, cause I hated “Icing Sugar” when I first wrote it, and then one day it just flipped around and now it’s my favourite. You premiered the video for “Wanted” with us back in January 2016. “Wanted” is inherently personal, both in the song itself and the video, as is most of your music. Do you find that that sort of direct intimacy is something that comes easily when writing your songs, or is that transparency something you’ve had to work at? Keiandra: I think I’ve always written honestly, and music, as [it is] for most people, is an outlet. There’s that saying “write what you know” and [that’s] exactly what I try to do. [If I] think too much I get in the way–I just give myself free reign so if I end up telling a cryptic love story, I do, and that’s okay with me. It’s such a good feeling to get up and play the songs because when I do it lets me relive the experience, if that makes any sense at all. Kind of related to that--you’re creating songs that seem to speak to a wide range of people, and it seems to come so naturally. Are people generally surprised when they discover your age? Keiandra: Yeah for sure, even when people just chat to me and don’t know I’m 19 they usually assume I’m in my 20s. I get along with people older than me so much better than people my actual age, I guess it sort of makes sense that the way I write and communicate through music reflects that. Is there a specific moment that you can remember when you knew you wanted to make music? Or was it more of a series of events that led to your desire to do so? Keiandra: I’ve always done music. I’ve played so many instruments, but when I was about 16 I started to get serious about it. There was no pinnacle moment, no sudden light bulb. I wish there was, but my dad’s friend gave me an acoustic guitar and I just bonded with it. So I went to college to study music and it just really helped me blossom, [and] figure out how much I loved doing it. It’s weird to think [that] as ‘Keiandra’ it’s only been just over a year since I first played a show. Somewhat related to that, who would you name as your major musical influences? I think I read somewhere that you mentioned Suzanne Vega--which I can totally hear in your songs. Keiandra: You read correct[!] Suzanne Vega for writing [I’d] say is right up there, apart from her I’m not really sure. I’ve been getting some Warpaint and Daughter references floating about, which I love cause they’re both fab and I’m a big fan of them both, so they’ve probably subconsciously influenced my sound. What artists or songs are you into right now? Who should we all be listening to? Keiandra: My music taste is a bit all over the place, but I really really love “Don’t Touch My Hair” by Solange, I’m so obsessed. Andy Shauf’s album The Party, I’m into that the moment too. Broadly speaking, if your music was a film, what would the trailer look like? Keiandra: The trailer would have to be square format. I think it would be really navy blue, dark but light at the same time. Surreal I think, still like photographs, but I’d be moving minimally. Just really odd. An EP, playing shows across the UK, and now another single—that’s quite a lot for one year! What’s in store for you next? Keiandra: That is quite a lot in one year! Just loads more music, loads more shows. But mainly shows with my band this time, I have so much more fun when I play the songs live with them. So I’m really looking forward to getting out and gigging in the new year.